Peer-to-peer lending is a type of lending that takes place between two individuals and does not involve any type of financial institution in the process. Most of the time, the individuals are not familiar with each other before the loan is initiated. Family loans are a type of loan in which an individual borrows money from a family member. Many times, this type of loan will be utilized in order to help come up with the money that is needed for the down payment on a house, or to start a business. While both of these options involve borrowing money from another individual, there are a few key differences between them. Here are a few things to consider about peer-to-peer lending and family loans. One of the big differences between peer-to-peer lending and family loans is the level of formality of each loan. Peer-to-peer lending tends to be a little bit more formal than family loans. With peer-to-peer lending, you will basically be entering into a contract with another individual to pay them a certain amount of money, based on a specific interest rate. Many times, you will go through a peer-to-peer lending service in order to set up the loan. Family loans are usually a very informal process. Many times, family loans are not even written down on paper. Often, a family loan agreement takes place between individuals who are very familiar with each other and trust each other completely. When this happens, it takes place in a very informal environment. With peer-to-peer lending, there is a good chance that you will utilize one of the many peer-to-peer lending websites online. 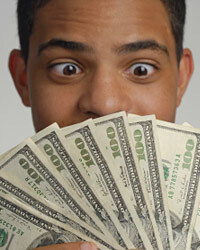 You will basically request for a loan on the website, and lenders will be able to bid on it. The lender that offers the lowest interest rate will offer you the money. In most cases, the money will then be automatically transferred to your bank account and payments will be transferred out of your bank account to the lender every month. You will also have to pay the peer-to-peer lending service a certain amount of money for handling this process. Another difference between these two types of lending is in the interest rate that you can secure. Most of the time, peer-to-peer lending interest rates will be higher than what you can get from a family loan. In many cases, when a family member lends you money, they are not trying to make a large return on their investment. They usually just want to help you. With a peer-to-peer lending situation, the lender is only interested in making a profit on their investment. This means that they will typically charge you a higher amount of interest for the money that you need to borrow.